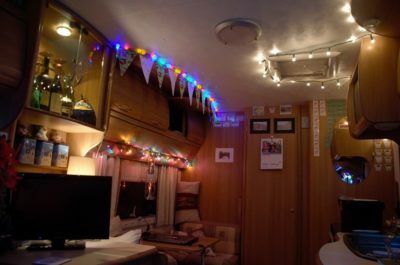 Light up, light up…motorhome and caravan lights are beaming! Caravan and camping sites are often ablaze with colour during the height of the season, as caravanners decorate their vehicles and awnings with lights and flags. And even in the winter months we’ve seen caravans and motorhomes decked out for the festive season. So, in our recent poll we asked if your light up your caravan or motorhome, during the season and at Christmas. We were surprised to see the results were fairly evenly split, with those who do choose to light up sneaking ahead with 59 per cent of the votes. 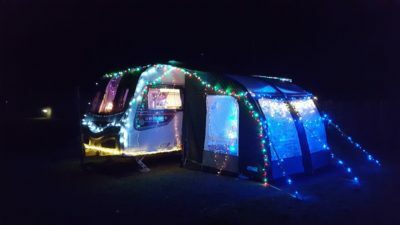 Twenty nine per cent of our voters said they decorated their caravan or motorhome with lights during the camping and caravanning season and 17 per cent light up at Christmas and during the season. Just 13 per cent deck their vehicle with fairy lights at Christmas time. But 41 per cent of those who cast their vote, chose not to decorate their vehicle with any lights at all! 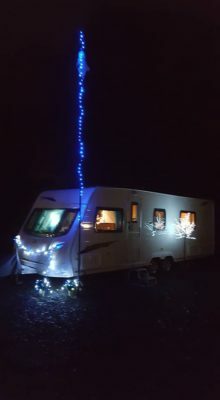 A few of you commented to tell us how happy lighting up the caravan makes you feel and how you always light up when on site. What do you make of the results? Share your thoughts or feedback in the comments box below.